Travelers looking to experience the wild, raw and remote Peruvian Amazon may crave both active adventures and creature comforts as they discover the jungle. 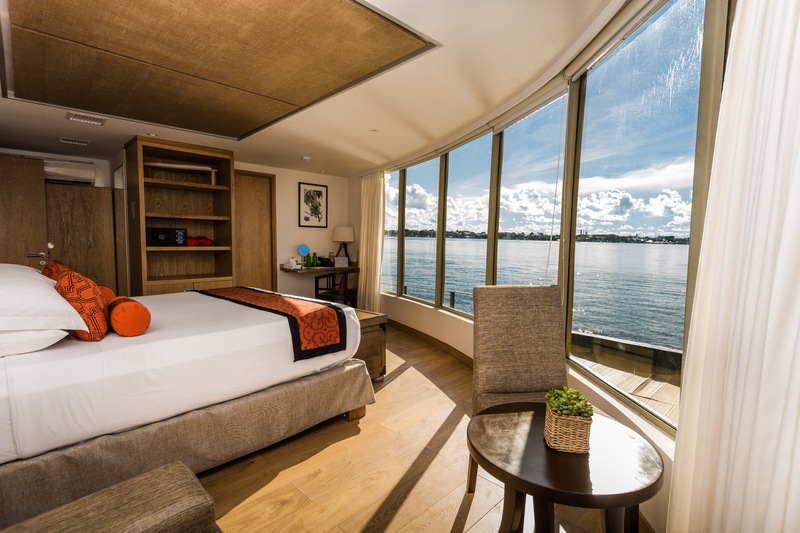 With Delfin Amazon Cruises, you can explore with wildlife excursions, canopy walking, fishing, paddle boarding, night safaris and much more–all with 5-star service and luxury accommodations. Delfin Amazon Cruises have set their standards high enough to be the first cruise company to join Relais & Châteaux’s iconic portfolio. Relais & Châteaux members include over 550 world-class hotels and restaurants around the world, each having a distinct setting, atmosphere and flavor. Delfin achieved this by having impeccable service, stylish design and authentic cuisine and holding core values such as having a local focus. 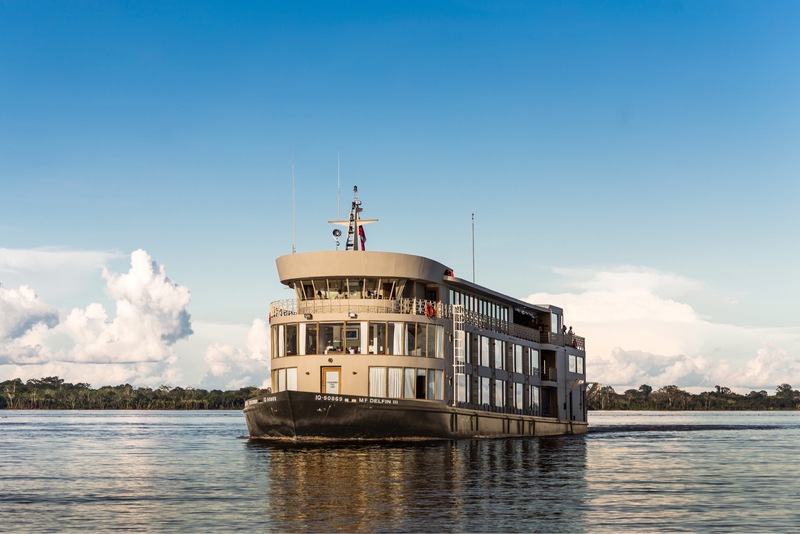 The company is committed to working with local female artists, local tour guides, and serving Amazonian fruits and fish on board that are provided by riverine communities. 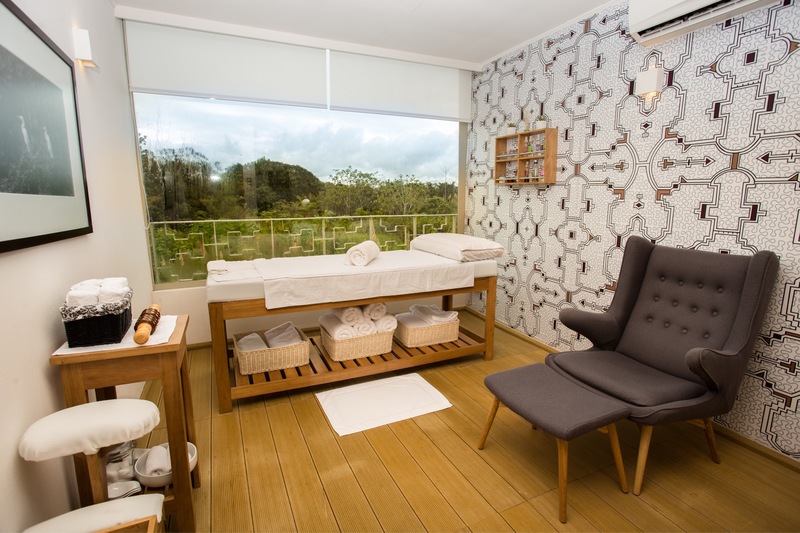 Founded in early 2006 by husband and wife team, Aldo Macchiavello and Lissy Urteaga, Delfin Amazon Cruises fulfilled a lifelong dream to run a boutique travel business in Peru, their home country. There are three river cruise ships to choose from: the exclusive four-suite Delfin I, the 14-suite Delfin II, and the 22-suite Delfin III. 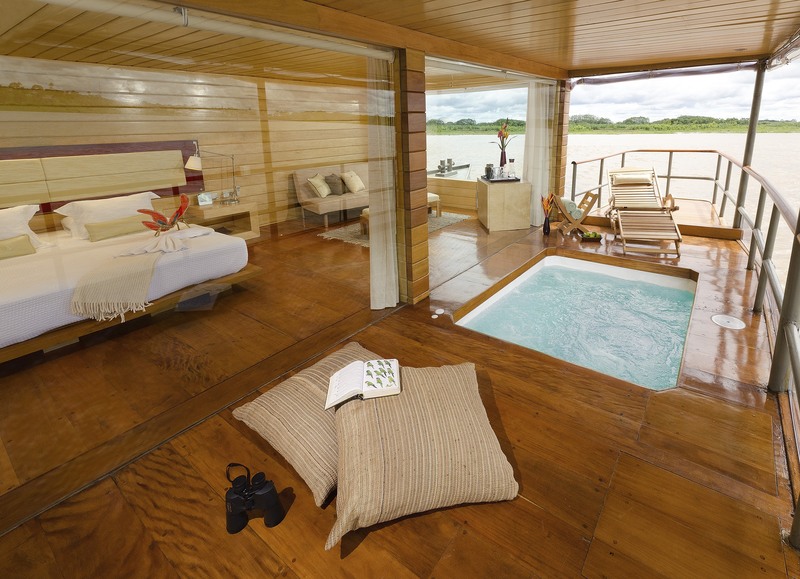 All three vessels combine comfort and grace with the breathtaking wilderness setting of the Amazon, offering panoramic suites and terraces and superb local cuisine. Guests will be taken on 3 or 4-night itineraries into the Pacaya Samiria National Reserve with naturalist guides and experts leading the way. There they will embark on a variety of excursions that include visits to local villages, kayaking, swimming with pink river dolphins, fishing, hiking and night safaris.